Custom power clip oval offers generous working space for advertisers to express themselves. 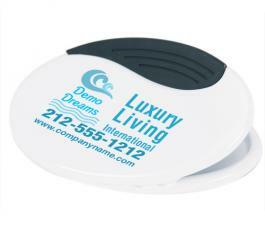 This oval power clip is loved by everyone due to its special shape and is most commonly favored for business gifting. A personalized power clip oval can stir brand consciousness within user and if offered to a staff, it can instill a sense of loyalty within their minds. A promotional power clip oval makes good acknowledgement, thanking, and goodwill creation token in any season. This clip is offered in reasonable pricing, which means it can be considered for bulk gifting.